When we consider essential skills that kids need to succeed on their academic pathway, we mainly think of basic attains: speaking, reading, writing, counting and so on. Many parents believe that creativity is an intrinsic ability of certain people with unusual talents. In fact, this is not the case – creativity have nothing to do with artistic or musical talents. It is a way of thinking and expressing ourselves. It is about discovering and inventing new things, which motivates us to be imaginative and inventive. Kids are inborn innovators with vivid imagination and a unique manner of self-expression. From a very early age, children exercise the capacity to challenge, question and discover. In pursuit of new ideas, they keep their minds and hearts open, experiment with ideas and build connections. Kids have the ability see things in a new perspective, catch a problem that nobody can think it even exists and arrive at an unusual, yet effective decision to solve it. Every child is born creative and imaginative, but this capacity can be restrained, if kids have no space to behave imaginatively and release their creative energy. They need opportunities and materials that give creative experiences. Creative activities for kids are endless. The more varied and multifaceted experiences kids have, the wider range of creative expression they gain in their early years. Encouraging children to try out new things and ideas is a crucial factor in their intellectual, physical and emotional growth. Everything kids experience and explore about themselves influences their further development. Various arts and crafts are ways for children to encourage movement, develop fine motor skills, control and coordination. When children manipulate tools and explore constructing and assembling, they are unconsciously involved in physical interaction with the world. They use senses to learn about the environment and connect with things they already know. 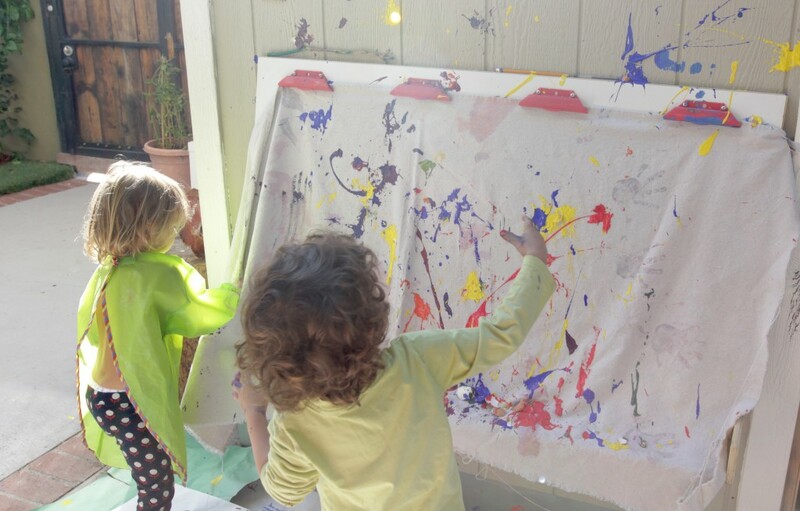 For example, while painting or paper coloring, kids get to know how to hold and control a paintbrush and define their preferences to use the right (or the left) hand. Younger kids can use various arts and tools to express their thoughts they are not yet able to share verbally. In this way, creative arts can help children release their feeling by putting them on a specific piece of artwork. Such activities also let children feel proud of their achievements and get mastery of the environment, when they craft something. On top of that, kids gain confidence in their capacities and raise self-esteem. At a basic level, they develop concentration and the abilities to measure and sort things. To make sense of the world around them, kids ask themselves some basic questions and get engaged in activities that foster understanding of some basic concepts. As children grow older, they learn to develop critical thinking and problem solving. In this respect, the creative curriculum for preschool teaches young learners to consider alternatives, analyze them and decide how to apply them in the appropriate context. Being together in a creative environment, children learn to share and interact with each other. These are basic aspects of social learning. Singing, dancing and drama acting imply development of indispensable social skills, such as communication, sympathy and respect. Younger kids enjoy experimenting with paints, dough, clay, glue and paper to draw basic figures and shapes. Such visual arts as drawing, painting and constructing are closely related to children’s visual perception and cognitive processing. As children develop artistically and obtain visual art skills, they develop their mastery from combining simple shapes and figures to conscious modelling. In fact, children can experiment with playdough, but produce nothing special. It is important for a child to know that what he or she has tailored is great – even if it is just a line on the paper. There can be no bad experience in children’s creative work. They explore the world in a unique way – everything they have created is worth being a piece of art. Music learning is an indispensable part of creative curriculum for preschool. Children’s love of music is intrinsic. They enjoy singing and listening to melodic songs with repetitions and rhythms. Singing helps children feel the difference between slow and fast, loud and soft. During music classes, they get acquainted with musical instruments and develop understanding how the sound is produced and how it changes (depending on a musical instrument). Through musical creative activities for kids, young learners learn self-control and concentration as well as build a sense of teamwork. Children are always active, and dance activities are a good way to transform their never ceasing energy into something creative and rhythmic. Dance movements help kids develop imagination and gross motor skills, as they shake and wave around to the music. Extra value to children’s dance experience can be provided with materials like ribbons and streamers, scarves and wristbands. Children enjoy drama activities as a form of self-expression, especially when they reach the elementary school age. At this development stage, kids have solid imaginative capacities and they are ready to take part in small drama plays. Preschoolers usually use songs and stories as a cornerstone for their drama play. Either as active participants or spectators, performing arts help children increase imagination and make sense of the world as such. Children can also get engaged in pretend play activities, which imply acting out stories with playful experimentation of ideas and emotions. Children’s creativity is in action, when they have continuous experience with new things around them. Creativity can be encouraged through a variety of play-based activities with as many senses as possible involved. Being creative by nature, children need physical space and time to express themselves, cope with their feeling and behave creatively related to everything they do.